Earlier this week Nintendo showed off some new Event Courses and Mystery Costumes coming to Super Mario Maker, so we shouldn't forget that Captain Toad will join the ranks on 25th December. As anyone who's played Captain Toad: Treasure Tracker can attest, he's a courageous little chap. 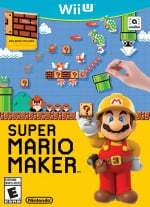 Willl you be hopping into Super Mario Maker on 25th December to play Captain Toad's event course? Nice, now where is our long overdue Captain Toad amiibo? Real cute. I like how they made it feel like a Captain Toad level. will the birdo shoot eggs? I'm so excited for this! I love Captain toad so much that I voted for him in the smash ballot! Best news this holiday season! Now where's his amiibo? I know rationally I shouldn't be weird out by this but it odd seeing Captain Toad jump. Guess he emptied his backpack and fill it with air for that ability. @PokeMelon123 he should be in smash full stop! @sinalefa Should have come with the game like Yoshi Wooly World. Had a lot of fun playing 2 player by myself, never would have beaten the game without my little green partner, even on Mellow mode . 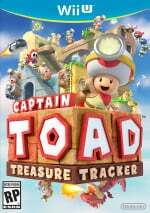 Though Treasure Tracker was about a bazillion times easier and an amiibo partnet unnecessary I always felt they shouldn't have bothered with the Toad amiibo when Captain Toad was staring in his own game. Toad should have been in an amiibo line w/ Goomba, Koopa, Birdo, Bom-bette, Boo, Lakitu and the other characters. A "Mushroom Kindgom" line sells itself. Would also be good for a Super Sluggers sequel, which I'm still waiting for. @rjejr The amiibo didn't exist until 3 months too late for that to happen though (came at the same time as Mario Party 10). @Grumblevolcano "The amiibo didn't exist until 3 months too late for that to happen though"
Falco amiibo is coming out 1 year after SSB, I don't think Ntinedo has any concept of dates. That is one of the cutest 8-bit costumes I've seen! Just played the level, the one in the video is not the one to unlock Captain Toad - the actual level requires no jumping! Now, where's his amiibo? His cuteness may be hard to translate into a figurine but I just want one of him! Speaking of Amiibo, just make another wave of Mario amiibos, Nintendo! Update Mario Maker, Mario Kart 8 and so on to give the figurines some kind of functionality. I don't care what, I just buy them for the figurines! @LetsGoChamp Probably not. It's just a costume, anyway, not the real thing. @buckminster Post the link to the bookmark website, nobody wants to deal with friend codes. Hope you all enjoy the rest of your Christmas break and have a great New Year!